Send 'Comprehensive Nuclear-Test-Ban Treaty Organization (CTBTO)' vacancy to your friends! The Comprehensive Nuclear-Test-Ban Treaty (CTBT) bans nuclear explosions by everyone, everywhere: on the Earth’s surface, in the atmosphere, underwater and underground. Why is the CTBT important? It makes it very difficult for countries to develop nuclear bombs for the first time, or for countries that already have them, to make more powerful bombs. It also prevents the huge damage caused by radioactivity from nuclear explosions to humans, animals and plants. Over 2000 nuclear tests were carried out between 1945 and 1996, when the CTBT opened for signature: by the United States (1000+), the Soviet Union (700+), France (200+), the United Kingdom and China (45 each). Three countries have broken the de facto moratorium and tested nuclear weapons since 1996: India and Pakistan in 1998, and the Democratic People’s Republic of Korea (DPRK) in 2006, 2009, 2013, twice in 2016 (January and September) and 2017. For over a century, International Women’s Day has been observed on 8 March every year and serves as a reminder that many women around the world continue to be denied equal treatment and equal representation. As a security-related organization with a strong technical focus, the ComprehensiveNuclear-Test-Ban Treaty Organization (CTBTO) is active in traditionally male-dominated fields. While the CTBTO has yet to reach the aspired 50 per cent female representation across all staff levels, there has been slow but steady progress over recent years towards that goal. The CTBTO has now reached female representation of 43 per cent overall, and 35 per cent in the professional and higher positions. CTBTO Executive Secretary Lassina Zerbo highlighted women’s contribution to the nuclear test-ban: “Women were and are the driving force behind the ban on nuclear testing. The civil society movements that pushed for the Comprehensive Nuclear-Test Ban Treaty (CTBT) in 1996 and its predecessors were to a large extent grounded in women’s initiatives. The Preparatory Commission for the Comprehensive Nuclear-Test-Ban Treaty Organization (CTBTO) is an international organization located in Vienna, Austria. Its main task is to establish a global verification regime to monitor compliance with the Comprehensive Nuclear-Test-Ban Treaty (CTBT), which bans all nuclear explosions. The verification regime includes a global network of 337 monitoring facilities, using four different technologies (seismic, hydroacoustic, infrasound and radionuclide), a communications infrastructure, an international data centre, and the capability to carry out on-site inspections. The CTBTO provides exciting employment opportunities in a highly diverse and rich, multicultural work environment. The CTBTO looks for candidates with high caliber scientific and technical skills, as well as management and non-technical skills. The paramount consideration in the recruitment, employment and promotion of staff is securing the highest standards of professional expertise, experience, efficiency, competence and integrity. CTBTO staff members enjoy an annual net base salary free of taxation, medical insurance coverage valid worldwide, and participation in the CTBTO’s Provident Fund. Additional benefits include, where applicable, a settling-in grant, dependency allowance, education grant for children, rental subsidy, six weeks’ vacation per year and home leave travel every two years. Assistance is provided to staff members when relocating to Vienna in finding accommodation and schools. Where applicable, the CTBTO covers the cost of removal of personal effects. Nurcan Meral Özel is Director of the International Monitoring System (IMS) Division at the CTBTO in Vienna since November 2014. Prof. Özel is a Turkish national who completed her higher education in Turkey and Japan, obtaining a Ph.D. degree in Seismology from Hokkaido University Science Faculty, Japan, in 1995. She was Vice-Director of the Bogazici University-Kandilli Observatory and Earthquake Research Institute (BU-KOERI) in Istanbul, Turkey, where she was responsible for all seismological operations at the KOERI, which hosts the 24/7 National Earthquake Monitoring Centre and Istanbul Earthquake Early Warning and Rapid Response System. She served as the Director of the Turkish National Data Centre (BU-KOERI/ Belbasi Nuclear Test Monitoring Center) from 2006 to 2014 and during this time was also the Turkish Delegate to the CTBTO’s Working Group B and the Head of the Geophysics Department at BU-KOERI. 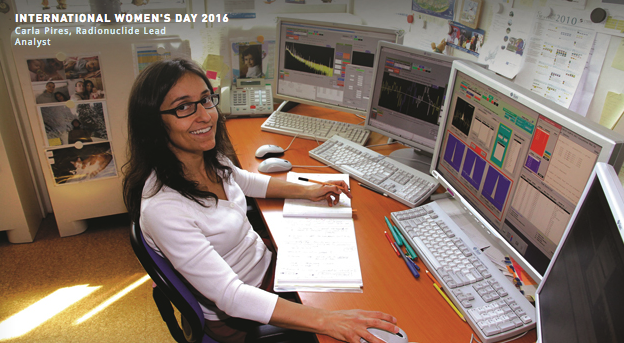 She was also the first Turkish seismologist at the International Seismological Centre (ISC) in the United Kingdom, where she worked from 2002 to 2004. Prof. Özel is the founding coordinator of the National Tsunami Warning Center in Turkey (NTWC-TR), operational since 2012, providing services to the Eastern Mediterranean, Aegean and Black Sea under the framework of the Tsunami Warning System in the North-eastern Atlantic, the Mediterranean and connected seas region (UNESCO/IOC/ICG/NEAMTWS). 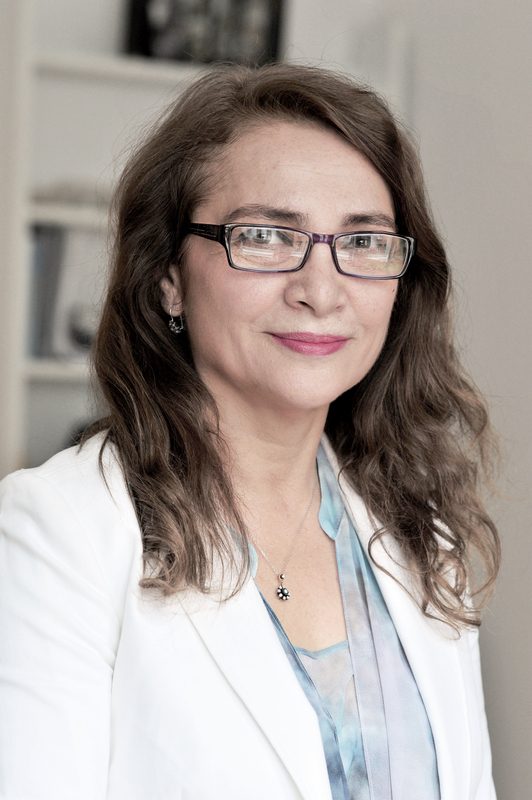 During her professional career spanning many years, Prof. Özel has developed expertise in earthquake source mechanisms, global seismology, deep and moderate deep earthquakes in subduction zones, strong ground motion, historical earthquakes, seismic array methods of monitoring nuclear tests, tsunami hazard and early warning systems. She has led teams and organizations in developing, implementing and operating advanced systems for earthquake monitoring and has coordinated and participated in many international projects funded by the European Union and the Government of Japan. During her academic career she always made sure to supervise many young students and researchers, sharing and passing on her knowledge. One of Prof. Özel’s major contributions to her country, was as Coordinator of FP-7 MARsite (New Directions in Seismic Hazard Assessment through Focused Earth Observation in the Marmara Supersite), which brought together more than 80 collaborators in 18 major European research institutions from with a budget of €7.8 million Euro. The MARsite project focused on the monitoring of the Marmara region and the integration of data from land, sea, and space. In the frame of this project, Marmara Region gained the new innovative borehole observation system, pilot seismic landslide monitoring system, several sea floor observation systems and 30 scientific publications. The processing of these composite data based on sound earth-science research proved an effective tool for mitigating damage from future earthquakes. This was achieved by monitoring the earthquake hazard using established seismic techniques for forecast and hazard mapping to make important risk-mitigation decisions regarding building design, insurance rates, land-use planning, and public-policy issues that need to balance safety and economic and social interests. MARSite demonstrated the power of different sensors in the assessment of the earthquake hazard. As Director of the IMS Division at the CTBTO, Prof. Özel is directly responsible to the Executive Secretary for the installation and certification of the IMS network’s stations, systems and other facilities, as well as the engineering and development of the network and its continuous sustainment. On this occasion, we have prepared an interview with a leading female scientist working at the CTBTO, the Director of International Monitoring System Division, Nurcan Meral Özel. What is your position at the CTBTO? Nurcan Meral Özel: “Since the global observation infrastructure of the International Monitoring System (IMS) has reached an advanced stage of completion, my main responsibilities as Division Director are leading, planning, coordinating and directing the programme for the completion and sustainment of this extraordinary monitoring system supported by about 63 staff. The IMS has more than 300 stations located around the world, and we continue to install and certify the remaining stations needed to complete the network. I oversee the establishment and update of IMS technology development plans and the identification of system-wide engineering solutions to improve the operation of IMS facilities. I also provide scientific and engineering advice on matters relating to the establishment and the operation of this major network. To accomplish this part of my job, I need to follow the latest engineering technology developments in sensors, design and communications, and their respective applications to the IMS. Because of my academic background in science and technology, I am particularly excited about development and application of new innovative technology for IMS monitoring stations. I am a seismologist and have also worked on sea floor observation systems, but now I also need to work on radionuclide and infrasound monitoring technology, and I try to follow closely new developments in these fields. As one of the Organization’s senior managers, I invest time liaising with delegates of States Signatories, Permanent Missions, other organizations, government officials and designated institutions in countries that host IMS facilities in efforts to promote, complete and sustain the network and maintain confidence and support. I assess and interpret policy issues and oversee their implementation, establish procedures and practices to improve effectiveness and efficiency of the Division. In addition, I monitor performance, appraise the achievements of goals set within the Division, and oversee the process of examination of risks and prospects to enhancing coordination, team work, and maximum utilization of all resources allocated to the Division. Of course, to accomplish all of this, I work closely with my staff and colleagues in the other Divisions, as well as with States Signatories to ensure that the IMS network provides effective services as required by the Treaty. What makes working at the CTBTO fulfilling? “I enjoy working at the CTBTO first of all because of what it stands for: a nuclear-test-free world that serves the vision of a nuclear-weapon-free world. As a woman, what resonates, in particular, is the contribution to peace and security promised by the entry into force of the Treaty together with a complete and functioning verification system. The CTBTO is the ideal setting to combine knowledge acquired through science and then see it implemented on the ground, covering a vast number of countries, involving different people at all levels and at the same time positively impacting our environment. At the personal and professional level, I am proud to serve an organization that places special emphasis on gender balance. Achieving gender parity is one of the issues that all CTBT State Signatories agree upon. As an Organization, we are committed to a policy of equal employment opportunity, and we place particular emphasis on improving the representation of women in the professional staff category. Do you have any advice to young women wishing to embark on a career in science? “My message to girls and young women is that they should always remember that science ensures world progress and women have a part to play. My advice to girls studying science would be: do not see yourself and do not let others see you as a female scientist only; see yourself as a scientist! Women were and are the driving force behind the ban on nuclear testing. The civil society movements that pushed for the Comprehensive Nuclear-Test-Ban Treaty (CTBT) in 1996 and its predecessors were to a large extent grounded in women’s initiatives. We cannot forget Dr. Louise Reiss, the scientist who helped to convince President John F. Kennedy to conclude the 1963 Partial Test Ban Treaty through her ground-breaking Baby Tooth Study.